India and Bangladesh share 54 rivers between them. Despite setting up a Joint River Commission for water management as early as 1972, tensions between the countries on how to share resources recently came to a head in a dispute over the Teesta River. At stake are the lives of countless people from West Bengal and Bangladesh who depend upon the river for survival. To date, only one comprehensive river pact has been signed by India and Bangladesh – a 1996 bilateral treaty that established a 30-year water-sharing arrangement between the two countries. This was set to change in September 2011 when India’s Prime Minister, Dr. Manmohan Singh, was due to sign a pact with his Bangladeshi counterpart regarding access and use of the Teesta River. 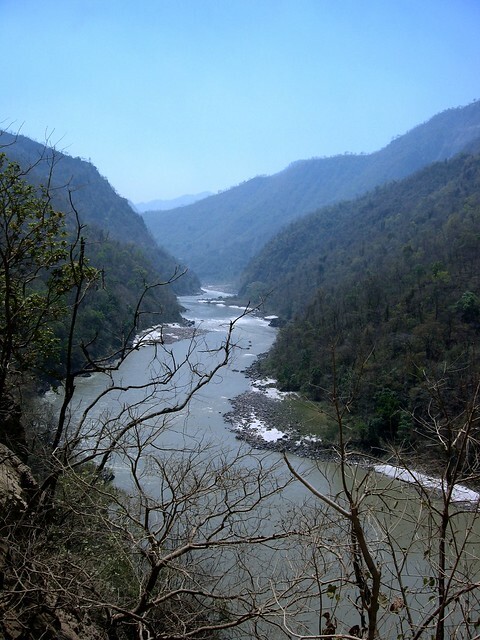 The Teesta - which has its source in Sikkim - flows through the northern part of West Bengal in India before entering Bangladesh, where after coursing through about 45km of irrigable land, merges with the Brahmaputra River (or Jamuna when it enters Bangladesh). In 1983, an ad-hoc water sharing agreement was reached between India and Bangladesh, whereby both countries were allocated 39% and 36% of the water flow respectively. The new bilateral treaty expands upon this agreement by proposing an equal allocation of the Teesta River. However, the deal fell through when the then newly elected Chief Minister of West Bengal, Ms. Mamata Banerjee, refused to approve the treaty, fearing that the loss of higher volume of water to the lower riparian would cause problems in the northern region of state, especially during drier months. Given that water is a state issue in India, and that Banerjee’s political party, the All India Trinamool Congress, is a key coalition partner of the ruling central government, the deal could not go through without her approval. While a large section of the Bangladeshi populace as well as the Indian media vilified her rigid stance, her opposition to the terms of the treaty was not without its share of support. In May 2012, during a visit to India, the Bangladesh Foreign Minister, Ms. Dipu Moni, warned that bilateral relations would be complicated if India fails to deliver on the Teesta water-sharing agreement. Despite this pressure tactic, the treaty remains a slow burner as India continues its efforts of domestic political consensus building. However, the Indian Minister for External Affairs, S.M. Krishna tried to diffuse tensions and assured Bangladesh that India remains committed to an early solution on the issue of sharing Teesta waters. It is apparently quite clear now that…Bangladesh for now has failed to ensure that India inks a deal…to share water of common rivers, mainly Teesta … Now it is Bangladesh which has to do what it should have started long ago. Apart from traditional diplomacy, they should have transmitted the feelings of its public to those on the other side of the border. The sky is locked for Dhaka as no Bangladeshi channels are broadcasted by Indian cable operators… Most Indian newspapers were supportive for Bangladesh’s cause on Teesta. That’s a positive side. What about engaging with West Bengal’s public? Both countries, therefore, need to develop a well thought out, balanced treaty that will enable equitable sharing of the waters of the Teesta, thereby enhancing bilateral ties and reducing the possibility of water conflict. 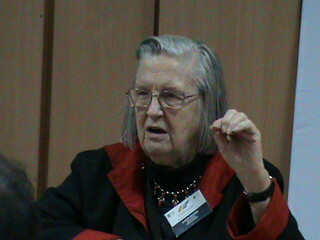 Nobel Laureate Elinor Ostrom passed away on 12th June, 2012. A tireless advocate of the Commons, she was a woman of exceptional energy. 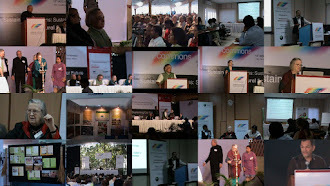 Am glad that I got the opportunity to meet and talk to her at the IASC 2011 Conference, which was held in Hyderabad, India. RIP Elinor. The Commons cause has lost a true champion. one that results in improved human well-being and social equity, while significantly reducing environmental risks and ecological scarcities. In other words, we can think of a green economy as an economic environment that achieves low carbon emissions, resource efficiency and at the same time is socially inclusive. Our vision is to make India’s economic development energy-efficient. Over a period of time, we must pioneer a graduated shift from economic activity based on fossil fuels to one based on non-fossil fuels and from reliance on non-renewable and depleting sources of energy to renewable sources of energy. In this strategy, the sun occupies centre-stage, as it should, being literally the original source of all energy. We will pool our scientific, technical and managerial talents, with sufficient financial resources, to develop solar energy as a source of abundant energy to power our economy and to transform the lives of our people. In line with this aim, the Jawaharlal Nehru National Solar Mission, which was launched on the 11th January, 2010 by the Prime Minister, has set an ambitious target of deploying 20,000 MW of grid connected solar power by 2022. Given that high cost is a key challenge in implementing solar projects, the solar mission aims to "reduce cost of solar power generation in the country through (i) long term policy; (ii) large scale deployment goals; (iii) aggressive R&D; and (iv) domestic production of critical raw materials, components and products, as a result to achieve grid tariff parity by 2022". On 24th May 2012, the Union Minister of New & Renewable Energy Dr. Farooq Abdullah, while addressing the first meeting of the Solar Energy Industry Advisory Council (SEIAC) in New Delhi, called upon the industry leaders to invest in Solar Energy Projects in the country. He assured them of the full support of the Government in setting up solar projects based on both grid connected as well as off grid applications. At the same time, he asked industry leaders to respond favourably and positively to the incentives offered by the Government in this direction. The Minister said that India has a vast scope for developing solar energy applications as still many parts of rural India do not have access to grid connected electricity. He cited the example of high altitude places in Ladakh where solar energy has changed people’s lives. 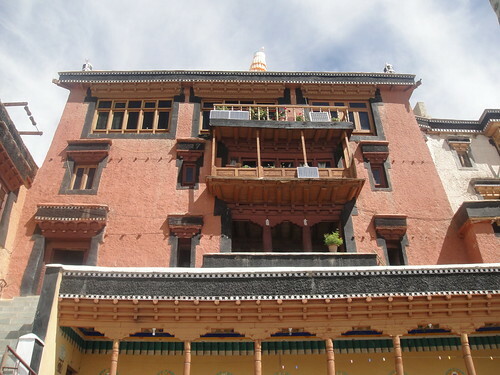 Solar panels on the walls of Thiksay Monastery, Ladakh. Image by Jessie Hey. Used under CC BY2.0. Despite being a power surplus state, Gujarat made great advances in solar energy. Our state was the earliest to come up with a solar policy. Just a few months ago, Gujarat dedicated to the nation 600 MW solar power to the nation along with Asia’s largest solar park at Charanka. Today, Gujarat produces 2/3rd of the solar power in India. One grassroot initiative that has been focusing on popularizing solar electrification in remote, rural areas since 1984, is the Barefoot College of Tilonia, the brainchild of Sanjit 'Bunker' Roy. In this TED video, Mr. Roy talks bout the Barefoot methodology. The Barefoot College essentially "trains a few members of the community to be ‘Barefoot Solar Engineers’ (BSEs)". These BSEs in turn install, repair and maintain solar lighting units within the community as well as train other community members. The video below tells the story of the first women Barefoot Solar Engineers of Hyderabad in Andhra Pradesh, India. Today, the Barefoot Solar Engineers are growing in numbers and can be found not only in India but in many countries around the world as can be seen on this map - truly a global movement. On this World Environment Day, India is renewing its solar energy pledge - to bring down costs, scale up solar infrastructure, train more solar evangelists and perhaps spark a solar revolution. 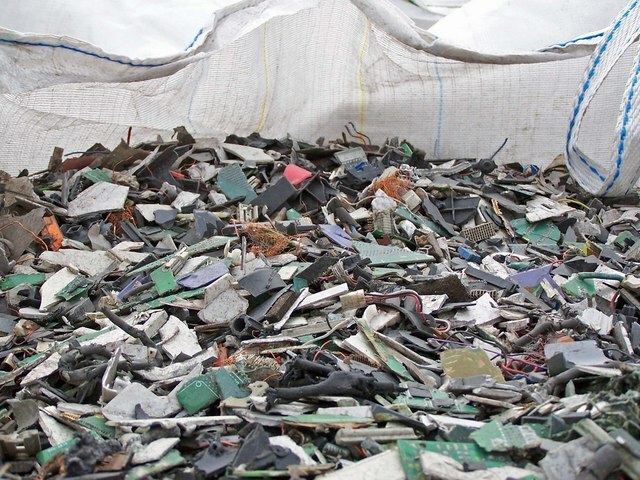 Today, E-waste, electronic waste or electronic scrap is ‘one of the fastest growing waste streams in the world' and environmentalists everywhere are justifiably concerned about their ‘end of life' disposal. Dumping of E-waste poses a major challenge in India. Imports are one of the major sources of E-waste in the country, most of it coming illegally. This adds to the huge volume of waste being dumped and processed within the country. The accurate data on such imports is not available largely owing to the nature of the trade. However, estimates suggest that imports account for an almost equal amount to what is being generated in the country. Improper disposal of E-waste causes huge hazards to health as well as the environment and hence is a matter of grave concern. 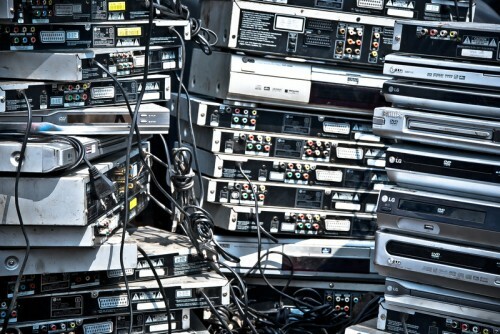 E-waste - Leftovers of an irresponsible technological advance. Image by Keren Chernizon. Copyright Demotix. Major recycling of e-waste is carried out in the non-formal sector using primitive and hazardous methods. That this form of recycling is hazardous is undoubted, since the release of toxic chemicals such as lead, mercury, cadmium, dioxins from burnt plastic/PVC etc., can pose serious health risks. Nevertheless, till date, about 90% of India's E-waste is being recycled informally. The E-waste management market in India is around half a billion dollars and growing at 25 per cent. This short documentary, uploaded on YouTube by Greenpeace on Feb 22, 2008, shows how E-waste is handled by the non-formal sector in India, with complete disregard and more often complete ignorance about the potential environmental and health hazards posed by this day-t0-day activity, through which they earn their living. Realizing the need to tackle this growing problem, the aforementioned committee formed by the Ministry of Environment & Forests, has recommended that the management of E-waste be taken up at three levels, viz. Legislative, Administrative and Technological measures. The new E-waste legislation that comes into effect from May 2012 onwards includes legal provisions for Extended Producers' Responsibility (EPR) for recycling, reduction of hazardous substances in electronics and setting up of collection centres. These rules will be applicable to every producer, consumer and bulk consumer involved in the manufacture, sale, purchase and processing of electronic equipment or components. The Central Pollution Control Board will be an active participant in the whole process in the capacity of a monitoring and watchdog agency – and will be required to submit an annual report (state wise) with regards to the implementation of these rules. However, environmental activists feel that much more needs to be done, not only towards strengthening the mechanism to check illegal import of E-waste, but also towards acknowledging and integrating the non-formal sector in the ambit of proper E-waste management. Some other similar ventures operating in the area of reverse logistics in the organized sector are Greendust, Reverse Logistics Company, Future Supply Chain etc. These companies have by and large welcomed the legislation, expecting opportunity growth in their line of business. E-Waste. Image Copyright Richard Dorrell. Used under CC BY-SA 2.0. Manufacturers of electronics on the other hand have reacted cautiously to the law which aims to lay a large part of the responsibility and accountability for reverse logistics at their door. Companies such as Hewlett-Packard have stressed on shared responsibility where the end consumers are equally responsible for the way they dispose electronic items and the government for providing proper infrastructure for the same. With India's not-so successful record of implementing environmental laws, it remains to be seen how sincerely the various stakeholders work towards generating awareness about the issue as well as tackling the growing E-waste menace effectively. 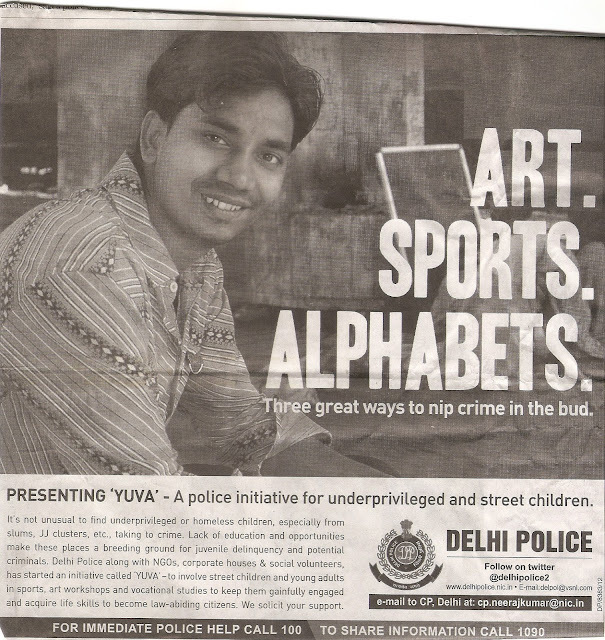 This post was first published on Global Voices Online. Here is an encouraging video about how a group in Bangalore is working with local residents to enable better waste management. Waste segregation is indeed the need of the hour. 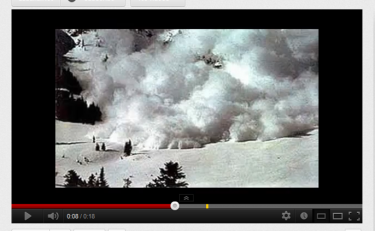 Let's watch and learn.